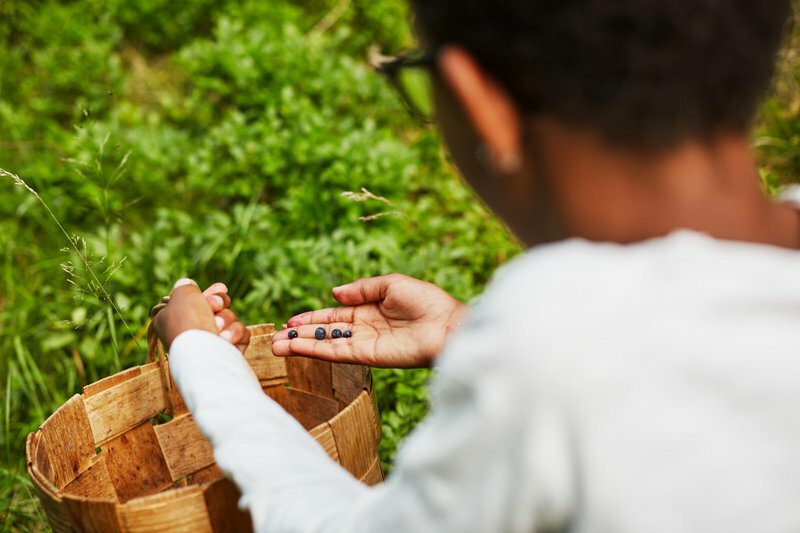 Swedish people love spending their free time in nature and one of their favourite summer pastimes is berry picking. What makes it all the more enjoyable is the law known as Allemansrätten (which translates as the Right of Public Access or Freedom to Roam), which stipulates that everyone has the right the wander around the countryside in Sweden with no fear of trespassing. Apart from being delicious and fun to pick, eating blueberries is actually incredibly good for you. Nordic blueberries are actually a different species to the blueberries found in North America. In fact, the correct English name for the Nordic blueberry is bilberry (although everyone tends to just call them blueberries). What’s more, they are more beneficial to health than North American blueberries, containing higher amounts of vitamin C and vitamin D. Moreover, Nordic bilberries are said to contain up to four times more anthocyanin, which is the substance that has been found to prevent cancer, diabetes and inflammation, and slow the signs of aging. Apart from blueberries, don’t miss these three super berries that are also native to Sweden. 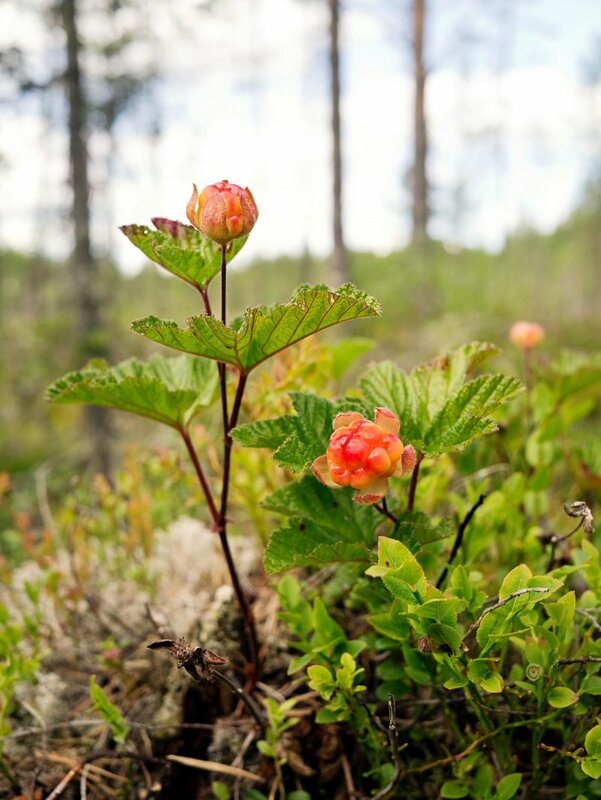 The reason why a lot of people have never tried cloudberries (or hjortron as they are called in Swedish is probably that they mainly grow in artic or alpine environments. However, apart from making delicious jam, cloudberries are incredibly good for you. They are known for their detoxifying and immune-boosting abilities, and also reduce the risk of cardiovascular disease, stimulate circulation and digestion, and prevent diabetes and some cancers. 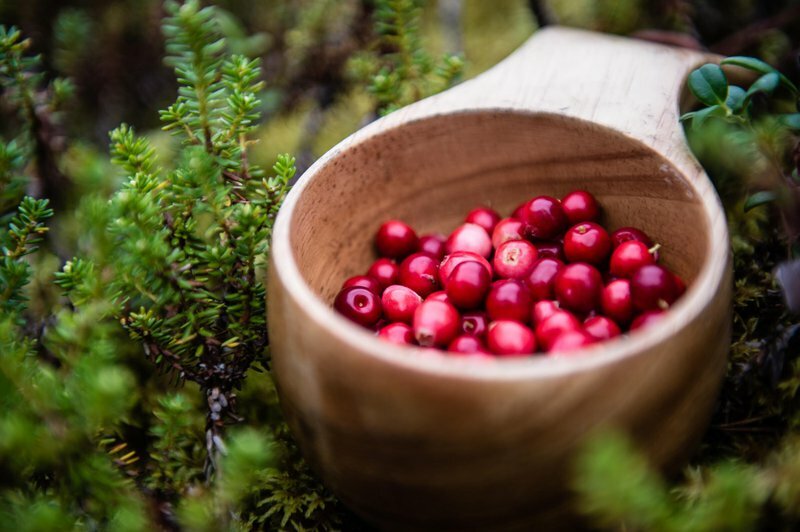 It is almost impossible to visit Sweden without coming across lingonberries in some shape or form. You will see them on cakes, in jam, and, perhaps most commonly, on a plate alongside your meatballs. Turns out they are also quite good for you, offering powerful antioxidant qualities and also containing substances that help fight obesity and regulate blood sugar, as well as preventing cancer, inflammation, urinary tract infections and tooth and gum disease. The jury is out on whether a blackcurrant is a currant or a berry (the word for blackcurrant in Swedish is svartvinbär, which translates as black wine berry, so we are calling it a berry). What is important is that, while often overlooked as a superfood, blackcurrants that grow in Scandinavian gardens actually contain 18 times more vitamin C, more than nine times more calcium, and four to five times more magnesium, vitamin A and potassium, iron and phosphorus than blueberries.